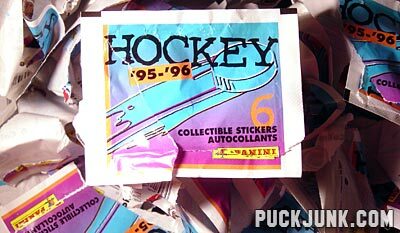 I recently purchased 530 packs of 1995-96 Panini Hockey stickers, and let me tell you, opening 530 packs of stickers is not fun! 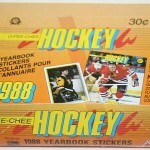 I purchased this large lot of sticker packs with the delusion of being to complete eight or nine sets. After all, 530 packs would be a total of 3,180 stickers. Since each set contains 306 stickers, you could theoretically make ten complete sets and have 120 leftover stickers. Theoretically? I am delusional. After opening 100 or so packs, I was quickly reminded on how bad the collation on these old Panini sets were. I’d end up getting like 12 of one particular sticker, and none of some other sticker. 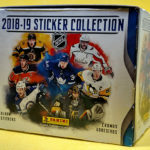 So, while I got a ton of stickers of guys like Eric Lindros, Ray Bourque and Mike Richter, what I’d really hope for is stickers of Mark Tinordi or Ian Laperriere, because those two seemed impossible to come by in these packs. When all was said and done, I only completed three sets! I am five stickers short of competing a fourth set, 15 stickers shy of a fifth set and would need an additional 30 stickers for a sixth set. On the flip side, I have 1,394 duplicate stickers I don’t need, as well as a bunch of sticker albums (each album came with 10 packs). Should anyone have duplicates from this set, perhaps we can work out a trade? 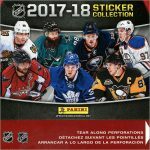 The stickers I need are posted in my Want List. Likewise, if anyone needs an album, I’d be willing to give you one for just the cost of shipping. I bought two boxes of Panini’s Euro 2008 stickers this summer and only ended up opening one box of 100 packs as I ended up missing around 40 out of 535. I only mention this because I was obviously really impressed by the collation. I think I ended up with under ten doubles. 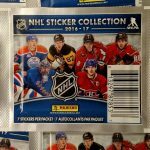 I’m also thinking that Panini’s not doing any of the major North American sports because the licenses must be too high. i was wondering what shipping would cost to 11554 (east meadow, ny). Previous Previous post: Card of the Week: Soccer, Eh?